Plot: Who lives in a pineapple under the sea and now on your iPhone? SPONGEBOB SQUAREPANTS! The SpongeBob SquarePants Tickler is the virtual underwater iPhone buddy who lives in your pocket. Shake him, poke him, stretch him... you can even make him dance! With the SpongeBob Tickler you can take SpongeBob and Bikini Bottom with you wherever you go! 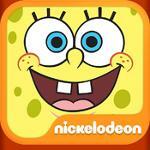 * Tap, shake and tilt to make SpongeBob talk and react to you! * Hold your phone sideways and see your snail buddy slide by!